Asiad Steels is one of the recognized manufacturers of Super Duplex Stainless Steel 2507 Fasteners, which has some excellent features to offer such as Sturdy body, Easy to fit, Lightweight, Less maintenance, Light-weight, Damage resistance, Excellent strength, Easy to use, Simple design and more. 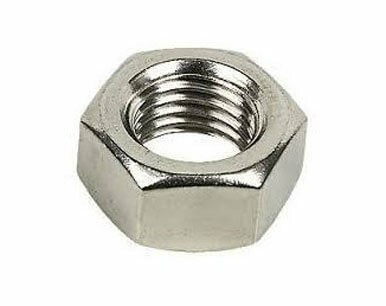 We bring forth our vast industrial experience and expertise in this business, involved in providing this high quality of fasteners. Apart from this, we offer our products in market with affordable price and low maintenance. 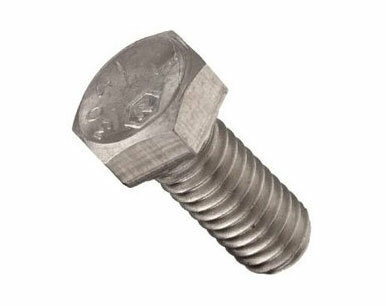 We also offer the same in different types such as Super Duplex Steel 2507 Nuts, Super Duplex Steel 2507 Bolts, Super Duplex Steel 2507 Washers, and Super Duplex Steel 2507 Stud Bolts. Super Duplex Stainless Steel 1.4410 Bolts is inspected on several parameters in order to supply a faultless range. Stress corrosion cracking occurs when stainless steels are subjected to tensile stress, while in contact with solutions containing chlorides. Used in gearboxes, hoisting equipment, rolling mills and tunnel machines, these have gained huge appreciation in the market base, owing credit to their qualitative characteristics. Super Duplex 2507 Fasteners is also used in LPG cylinders, corrosion resistant steel, critical structural application steel, boiler quality, automotive, precision tubes and medium/high carbon grades and among others. 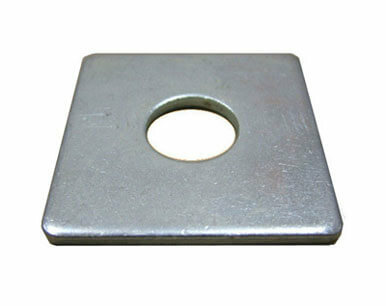 Our fasteners come in various thickness and dimension to suit the requirement of our clients. These are also available in distinguished sizes, thicknesses and dimensions. Buy Super Duplex Stainless Steel Fasteners in leading market price from us. We offer these products with customized solutions to our clients. We are Exporter of Super Duplex Steel UNS Alloy 2507 Fasteners in Worldwide Such as India, Iran, France, Lithuania, Iraq, China, Poland, Japan, Indonesia, Taiwan, Estonia, Azerbaijan, Sri Lanka, Bolivia, Argentina, Israel, Yemen, Gambia, Puerto Rico, Ecuador, Mexico, Croatia, Czech Republic, Switzerland, South Korea, Australia, Macau, Egypt, Bahrain, Algeria, Bulgaria, Philippines, Turkey, Iran, Costa Rica, South Africa, Thailand, Austria, Italy, Brazil, Nepal, Nigeria, Mexico, Oman, Jordan, Belarus, Kenya, Finland, Canada, Norway, Hungary, Peru, Kazakhstan, Ireland, Germany, Libya, Mongolia, Nigeria, India, Chile, Ghana, Portugal, Gabon, Morocco, Venezuela, Vietnam, Romania, Saudi Arabia, Denmark, Serbia, Hong Kong, Sweden, Colombia, Chile, Spain, Pakistan, Bangladesh, Ukraine, Angola, Lebanon, Poland, Kuwait, Singapore, Qatar, New Zealand, Afghanistan, Namibia, Slovakia, Belgium, Greece, Malaysia, United Kingdom, Russia, United Arab Emirates, Bhutan, Tibet, Zimbabwe, Netherlands, Trinidad & Tobago,Tunisia, United States. We are Suppliers of Super Duplex Steel Alloy 2507 Fasteners in India Such as Mumbai, Hanoi, Bhopal, Doha, Santiago, Al Khobar, Surat, Melbourne, Mumbai, Mexico City, Atyrau, Geoje-si, Al Jubail, Dallas, Colombo, Toronto, Rio de Janeiro, Tehran, Navi Mumbai, Nagpur, Vadodara, Kanpur, Coimbatore, Algiers, Aberdeen, Istanbul, Singapore, Granada, Los Angeles, Jakarta, Chennai, Caracas, Montreal, Kolkata, La Victoria, New Delhi, Ranchi, Chiyoda, Muscat, Gurgaon, Chandigarh, Perth, Ankara, Rajkot, Ahvaz, Noida, Brisbane, Kuwait City, Thiruvananthapuram, Howrah, Ulsan, Pune, Thane, Dammam, Lahore, Hong Kong, Jaipur, Milan, Visakhapatnam, Ho Chi Minh City, Dubai, Lagos, Hyderabad, Bengaluru, Baroda, Haryana, Seoul, Calgary, Petaling Jaya, Kuala Lumpur, Edmonton, Bogota, Madrid, Cairo, London, Manama, Bangkok, Port-of-Spain, Nashik, Ernakulam, Indore, Ludhiana, Jeddah, Faridabad, Sydney, Jamshedpur, New York, Moscow, Busan, Abu Dhabi, Houston, Sharjah, Gimhae-si, Vung Tau, Pimpri-Chinchwad, Secunderabad, Riyadh, Courbevoie, Ahmedabad, Karachi.